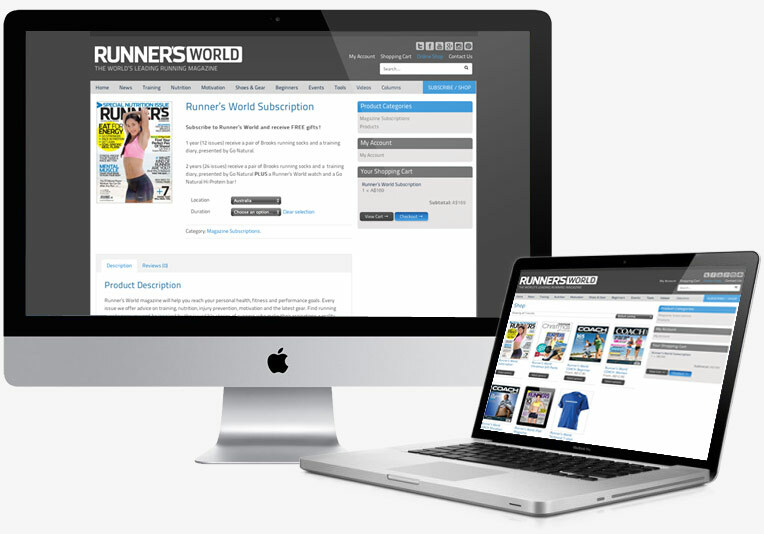 Development project to implement an eCommerce solution within the new Runners World Australia website. Brown Ink Design were contracted to design and build the new Runners World Australia website. As part of the re-build Runners World required functioinality that allows customers to buy and renew magazine subscriptions. My services were engaged to implement an e-commerce system to the website and build stage one of their online subscription management system. The website had been built in WordPress and required custom plugin development and extension of the WooCommerce system.